Woot, back to cooking! This one is a keeper! 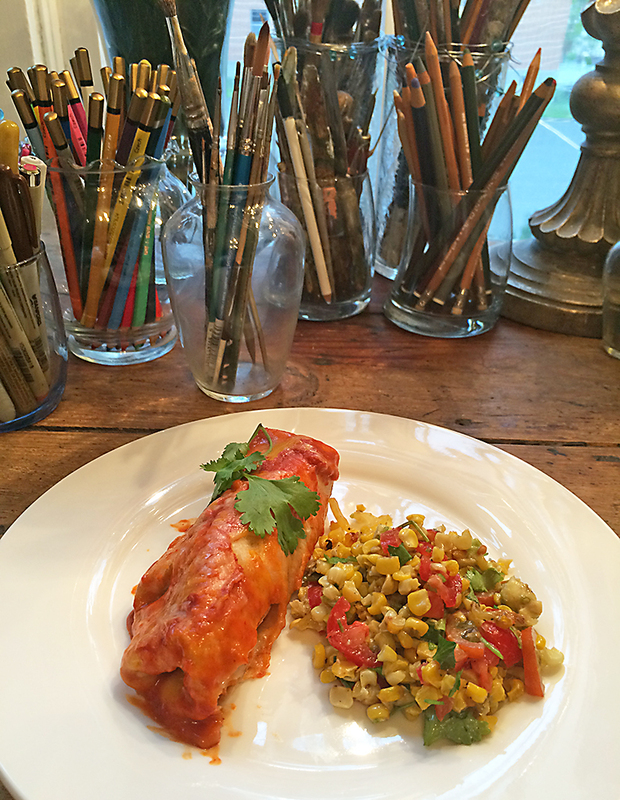 It’s been awhile since I’ve posted a recipe, lately I’ve done more “musing” than cooking. My go-to side dish with my chicken enchiladas is normally a simple refried bean-black bean concoction. It’s tried and true and will continue to be a staple, but when fresh bi-color corn first starts to appear in the grocery store, I can’t pass it by. This truly is, “easy-tasty-healthy”! If you have followed Poppy at all, you know I’m a big fan of roasting vegetables. Roasting pumps up the flavor quotient without adding a lot of extra seasoning … let’s get started … I’m starting to salivate just thinking about this. If my family is any indication, plan on at least 1 ½ ears of corn per person (minimum). I’m a bit of a slow learner, but I’ve figured out that if I hold the ears of corn upright in a very large bowl to cut the kernels off, they don’t jump all over the countertop and I don’t have to transfer them to another container to toss in EVOO. Being the brilliant readers that you are, you’re a step ahead of me and have figured out the first step is cutting the kernels off the cob. Once done, drizzle enough EVOO over the corn to coat the kernels after a good tossing. Transfer them to a baking sheet covered in foil and lightly coated with EVOO and place them in the oven preheated to 375. 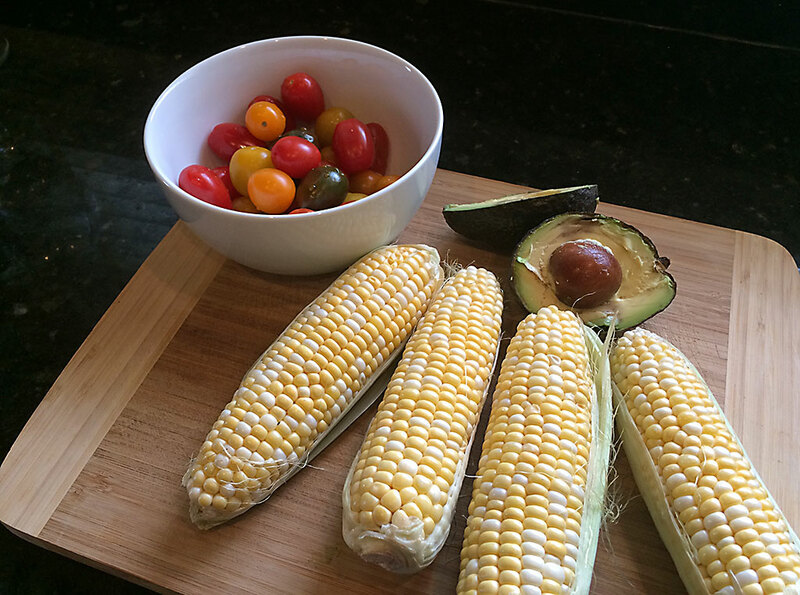 While they are starting to roast, dice an avocado into ¼” cubes. Next start dicing the grape tomatoes. I was lucky enough to find a pint containing a variety of various color grape tomatoes, but any kind will do. 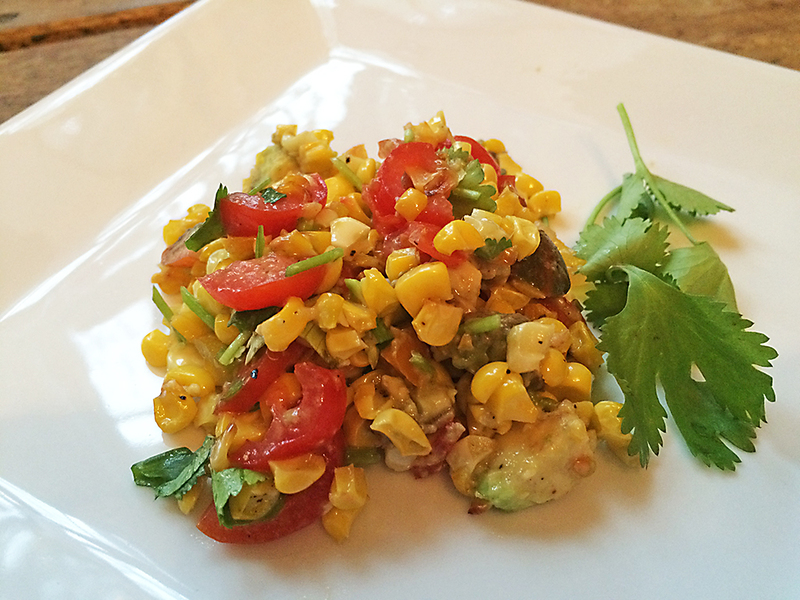 Combine the roasted corn, avocado, tomatoes with some fresh chopped cilantro, a generous grind of coarse black pepper, a squeeze of lemon juice and a pinch of Cajun seasonings … toss and you are ready to go! There are not many advantages to having some years under your belt, but there are a few. One of those is perspective. The ability to recognize the inconsequential, the fluff, and yes the BS, from the things that are really important. That coffee stain on a new shirt, the mistake that kept you from getting an “A” on the exam, the guy who just cut you off in heavy traffic, the dead battery on your car, the slight you received at work … all inconsequential, fluff, or BS. 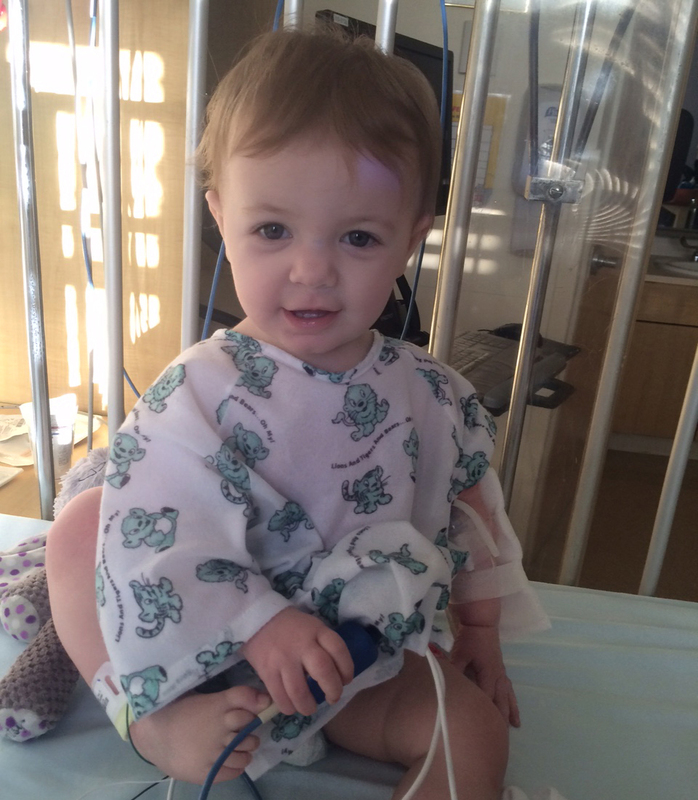 This Wednesday as I was preparing to leave work, I got a phone call from Mrs. Poppy telling me that Fiona, our beautiful little 14 month old granddaughter, started having seizures at the doctor’s office while getting her scheduled exam and shots. Furthermore she had been taken to the E.R. No additional information was available at that time, so on the drive home to pick up Mrs. Poppy, my imagination filled in the blanks … she’s going to be fine, it’s no big deal … I’m going to have to bury my granddaughter … everything will be OK, just relax … she will have permanent brain damage … it’s just a minor hiccup … how will I live without her … etc. These schizophrenic thoughts were punctuated with prayers that contained heavy theological content with deep potent that went something like this, “Please God, please…please…please”. Arriving at the E.R. I wanted to find the entire staff gathered around Fiona’s bed, focused on taking care of her and disregarding all other patients and duties. 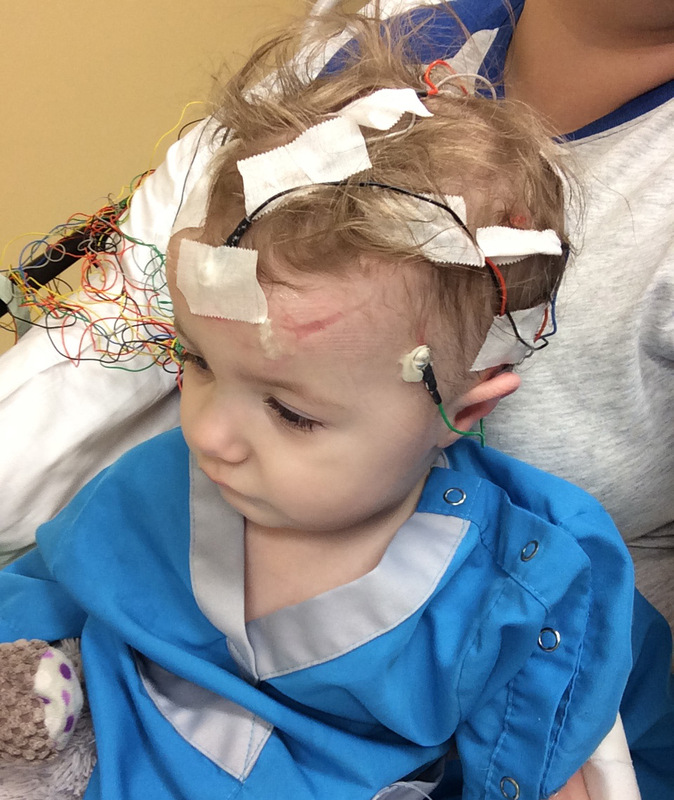 Instead I found our family in a darkened room, gathered around a tiny figure, unconscious and attached to various glowing, beeping instruments, sporting an oxygen mask that was strapped to her tiny head. I must have landed in some sort of temporal anomaly, because while my head and heart were racing the E.R. staff seemed to move at a very leisurely, almost nonchalant pace. 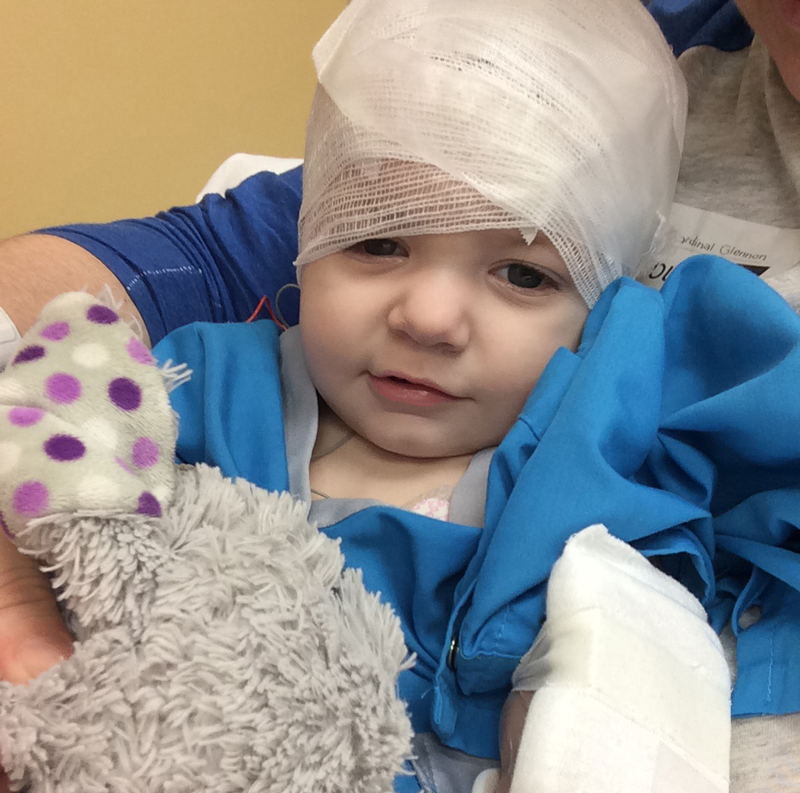 Because of the length and severity of her seizures, the eventual decision was made to transfer her to the children’s hospital here in town for overnight observation and more tests the following day. 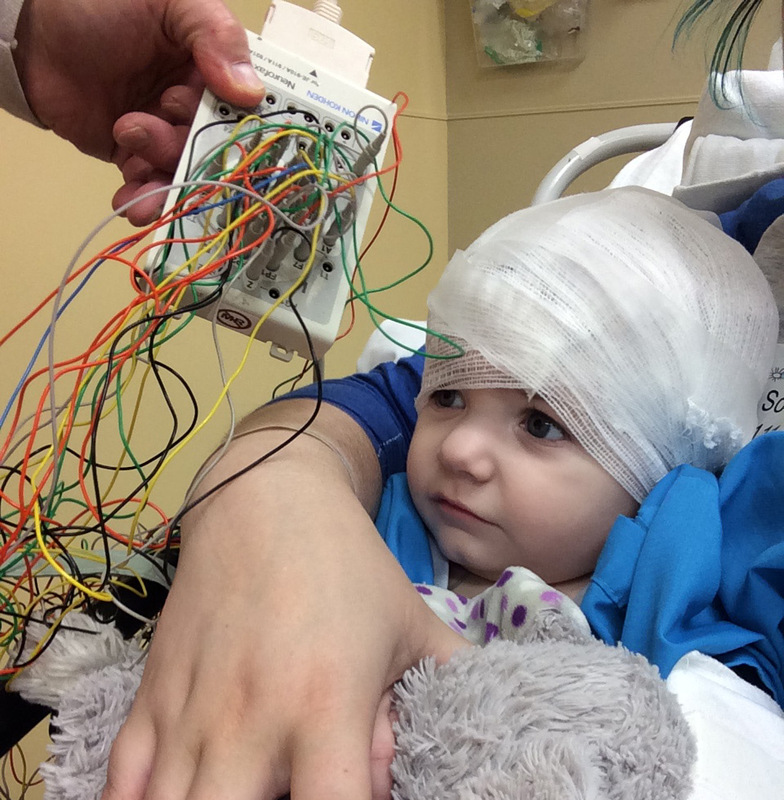 Fast forward almost 24 hours later, the EEG was administered and the results were finally in. The emotional pendulum abruptly swung the other way. All clear! No brain patterns that weren’t perfectly normal! Fiona is coming home! Lessons learned … life is precious … take nothing for granted … family is important in spite of our flaws … all families are not as blessed as ours, reach out with love and empathy to those who are hurting. In closing, two quotes from sources that couldn’t be further apart. From a gaming site: “Lives Remaining – Zero” … in other words, this is our one chance to do the best we can, to make a difference, to reach out, to love, to support, to foster the better angels of our nature. And from the Bible … Philippians 4:8 “Finally, brethren, whatsoever things are true, whatsoever things are honest, whatsoever things are just, whatsoever things are pure, whatsoever things are lovely, whatsoever things are of good report; if there be any virtue, and if there be any praise, think on these things”. Life is filled with disappointments. That’s why they call it life … and in the big picture my little disappointment today doesn’t even move the needle. In fact you know it’s been a good day when the biggest disappointment you have is going to the grocery store to get some fresh corn only to find out you have to settle for frozen (Yes, I know, it’s a 1st world problem)! 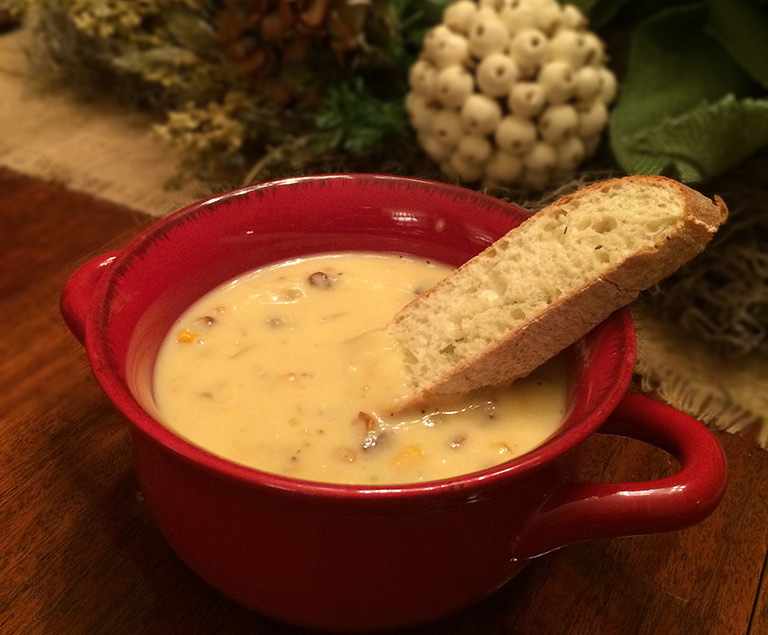 The good news is that you can make some darn good soup using frozen corn, so let’s get started. Difficulty: If you can dice potatoes without dicing fingers, you’re golden! Peel and dice the potatoes into 1/4″ cubes and plop them into your stock pot with chicken broth. Bring the broth to a boil and cook until the potatoes are soft. 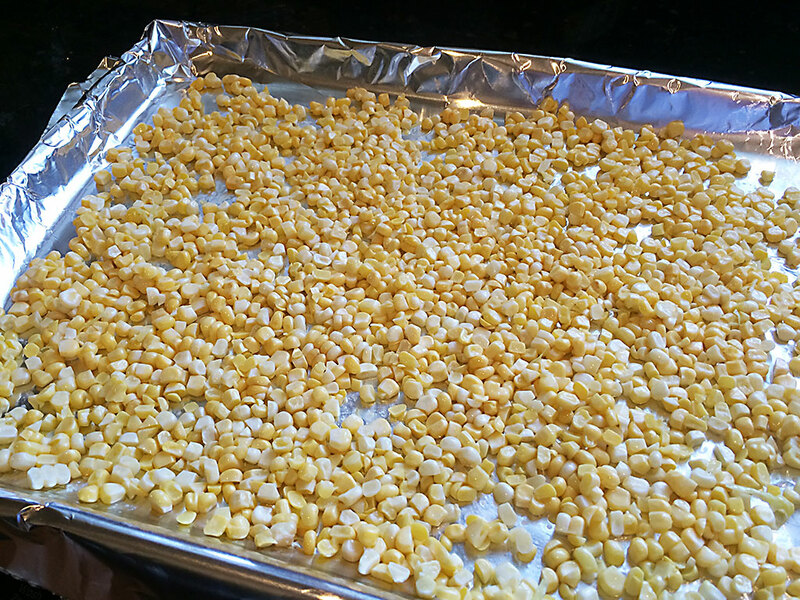 In the meantime defrost the frozen corn and toss in EVOO, then place on a foil lined cookie sheet along with the butter and roast at 350° for 15-20 minutes, then toss and continue roasting until they start to brown. Once the potatoes are soft, transfer 2/3 of them along with the broth to a blender and purée until creamy ( do not fill the blender all the way up, allow room for expansion of the hot broth-potato mixture … you have been warned). Return the creamy potatoes to the stock pot and add the roasted corn, cream, grated cheddar cheese, coarse ground pepper, garlic (that has been run through a garlic press or finely chopped) and hot sauce. Simmer for 5-10 minutes then serve with some crusty bread and enjoy. Yes, it’s that easy (and delicious)! Ahh, Easter Sunday, a time of contemplating resurrection, new birth, new beginnings and new hope. Spring has arrived here in Ferguson, I can tell because all of my weeds are coming back strong! In a couple of days we will hold municipal elections to vote in some new Council Members. I expect a record turnout, which is a great start to shedding apathy. However if we emerge from our indifference just long enough to vote, then return to our apathy, expecting the Ferguson City Council to solve all of our problems, Ferguson will never achieve its potential. Most of us are still in shock that our sleepy, pleasantly diverse little town is now in the national spotlight. Everyone from those in the highest offices of this country to anyone with a Facebook account has no shortage of advice, condemnation and yes, even ridicule to offer. Most of those people have never visited Ferguson, never talked to a Ferguson resident, police officer or protester. Fortunately none those people no matter how powerful they are control the fate of Ferguson. We do! Make the effort to get to know more neighbors, shake some hands, talk face-to-face, not behind a keyboard … listen. Whenever possible support local businesses from all parts of town. Seek opportunities to be a peacemaker. Learn to ignore those who only want to sow discord and hate. I can’t “fix” them, but I can ignore them. Accept that I can’t straighten everyone and everything out (let it go Poppy). As much as is possible, see everyone as a child of God, without my own filters.